Published August 2, 2015 at 3672 × 4896 in Buddhism in Tamil Nadu. 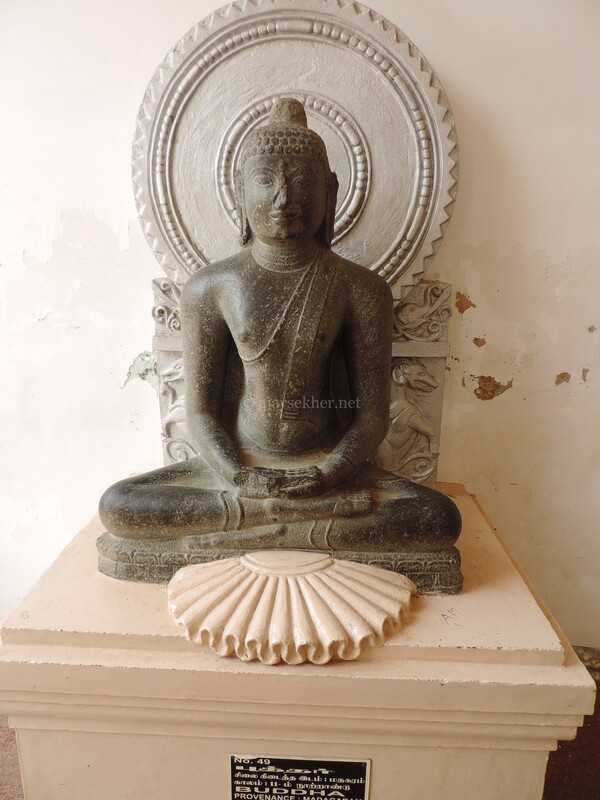 Buddha 2 at Tanjavur Palace Museum. The Mayana style hallow is added and not part of the original Teravada sculpture.